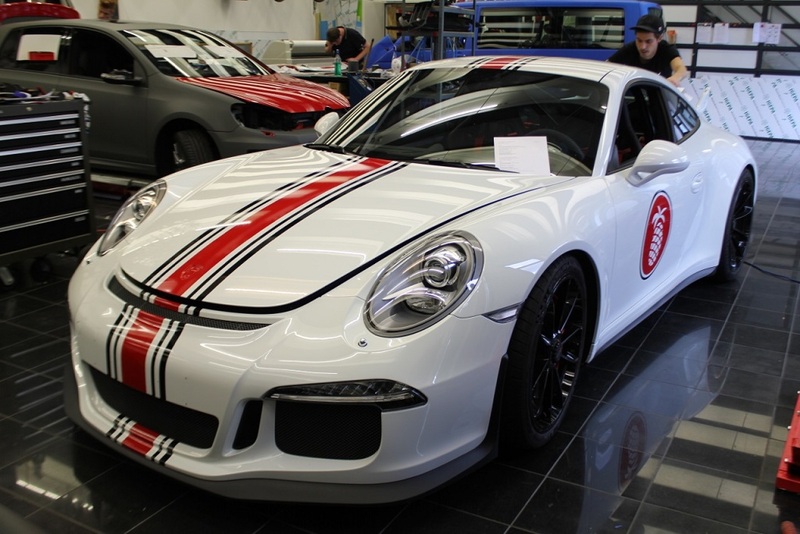 I was wondering if anyone has got any 991R stripe wrap to their normal Carrera? 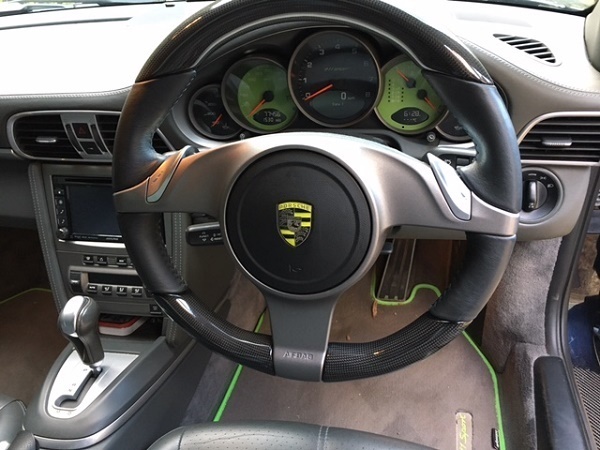 I have a white 911s cab was wondering if it will look naff with a couple green stripes on the bonnet? Just makes it more interesting than all the white. Comments? Go for it, be different. 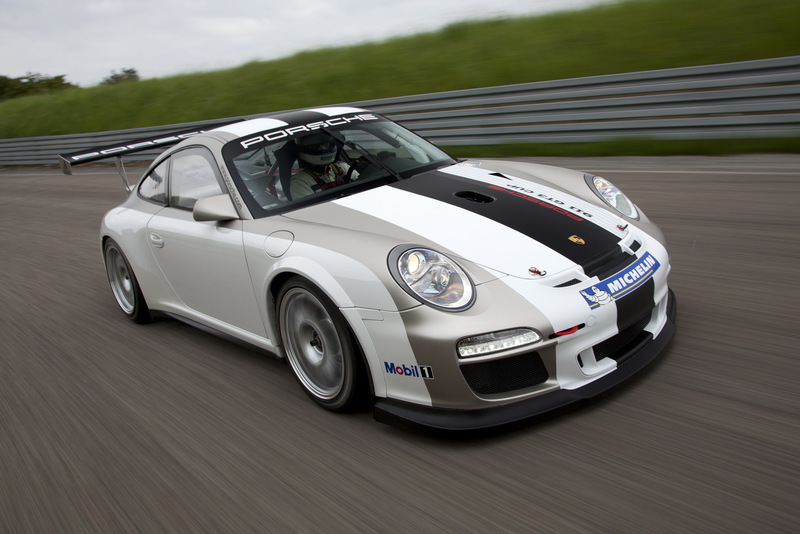 I saw a White 997 with just the 991R two tone door decals and that looked quite nice/subtle. 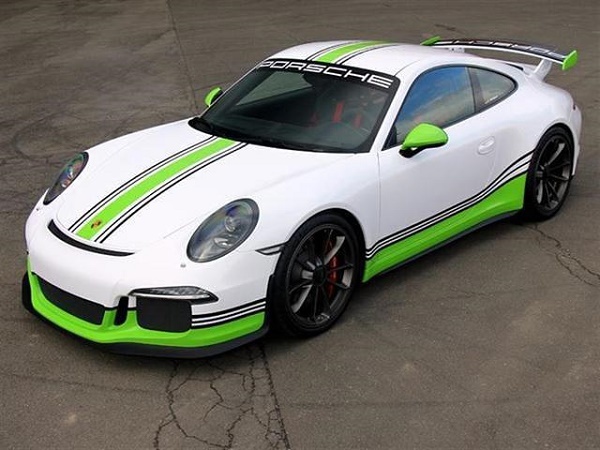 I do like the green on white roof stripes (and Red stripes). 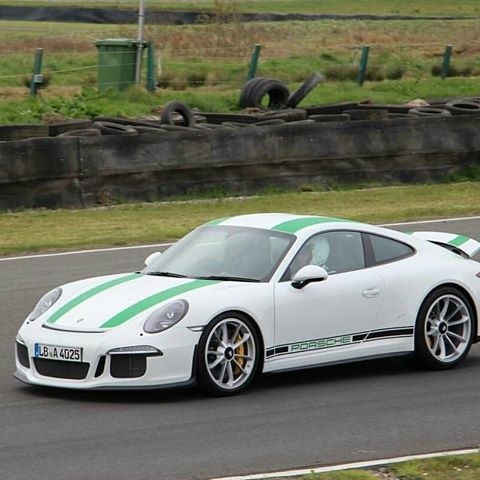 All the other body colours I've seen the 991R in look naff compared. Anyone had something like this done aftermarket? Does the stripes normally leave a mark when they are removed. Will be gutted if it leaves a darker shade of white after removing..... Still tempted if reasonable price for getting it professionally installed. Looking at it again, you may be right..... but would love to be proofed wrong if someone had his/her done. 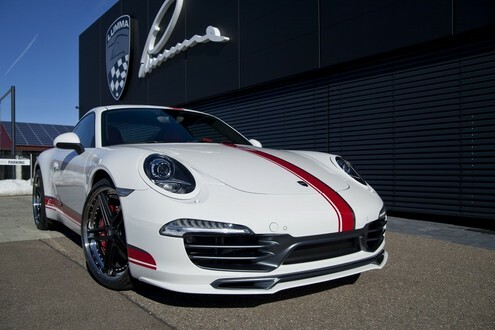 Don't think the stripes add anything to even the genuine 911R; the car would look just as awesome without them. 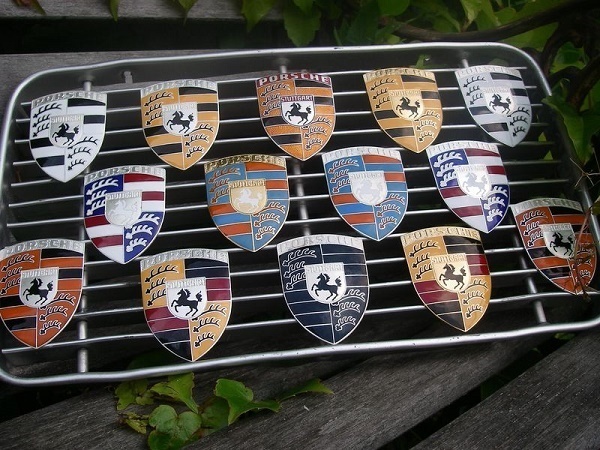 Phil, do you have a website address for these bespoke badges ? his name is Jim he and his daughter custom make them mostly to order but they do often have some standards ready to go. 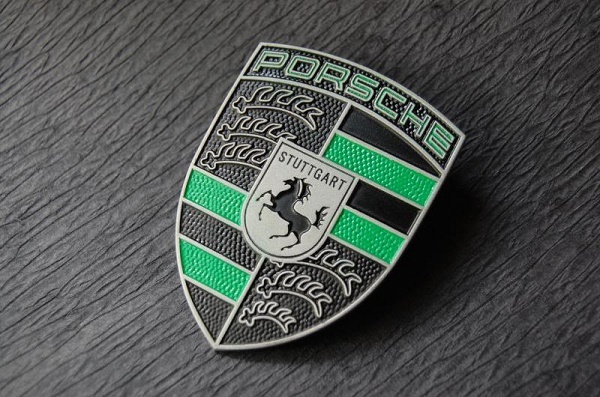 he will make any combination you want and will use genuine Porsche paint, they are not the cheapest thing somewhere around $250 delivered, but as one off pieces of Porsche art I think they are great. he also did my steering wheel crest it was about $110 so not bad at all I thought. They might leave a lighter shade of white after removal, as the rest of the paint gets more sunlight and discolouration. But you'd have to leave them on for about 8 years ... 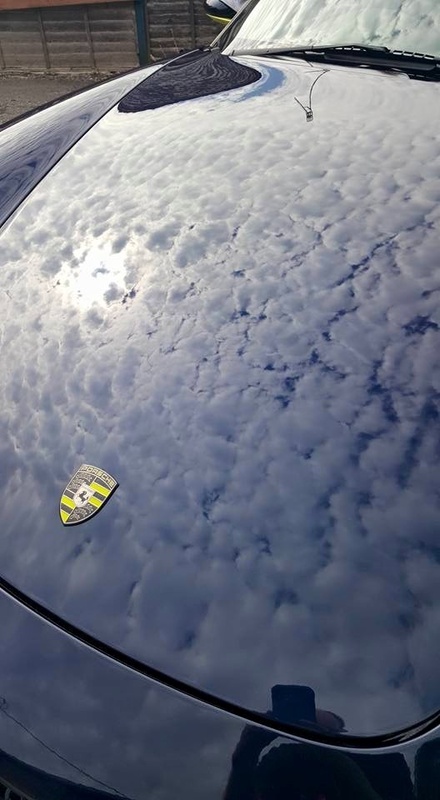 This can be sorted by detailing and paint correction etc. The other risk is that the vinyl glue lifts some of the lacquer. I fear this when I finally remove the nasty 'dog piss yellow' shark fins on the rear three quarters of my C4S. It's actually pretty easy to install basic vinyl stripes, and they're not expensive, so why not give it a go?